1991 Factory was established in Si Hui, Zhaoqing, Guangdong Province, China. 1993 Factory moved to Tai Shan in Guangdong Province, China. 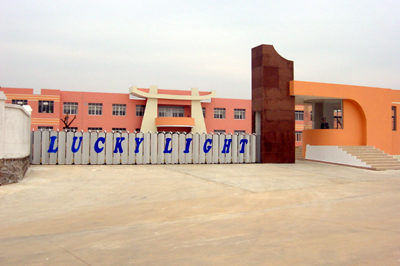 1995 LED lamp production first surpassed 40 million pieces per month. 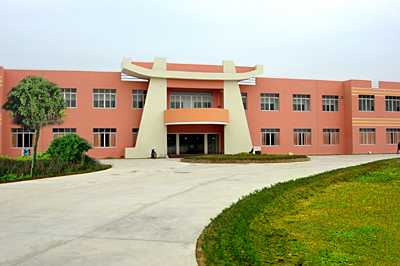 1997 Second production plant in Tai Shan was built. 1997 Automatic die-attaching, and wire-bonding machines were employed into production. 1997 LED lamp production surpassed 60 million pieces per month. 1998 Automatic epoxy dipping lines were employed into production. 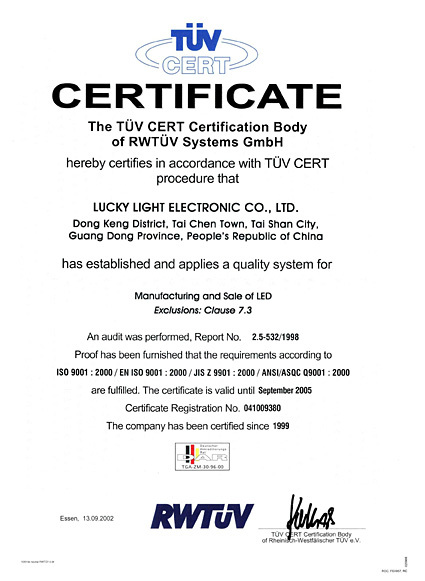 1998 Production plants were granted ISO 9002 certification. 1998 Computerized classifying machines were employed into production. 1999 LED lamp production surpassed 70 million pieces per month. 2000 LED lamp production surpassed 100 million pieces per month. 2002 Employed 5 brand new ASM Eagle-06 computerized wire-bonding machines into production. 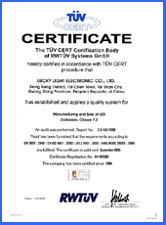 2002 Production plants were granted ISO 9001 certification. 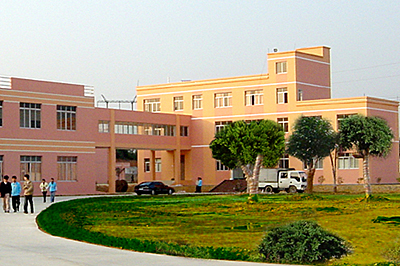 2003 New 38567 square meters factory was built.